Our commitment to quality extends to every aspect of our business. A great of example of that philosophy is our preference for hand-nailing (using a hammer to nail shingles) over gun-nailing (using a nail gun). When we first started back in 1981, hand-nailing was the way to go, and it’s been our preferred method ever since. Most roofing nail guns run off air pressure. If the pressure isn’t set correctly, then shingles could be over- or underdriven, resulting in nail pops and torn shingles. Running multiple guns off one air compressor can result in both deficiencies. Hand-nailing is a painstaking process that requires skill, precision and superior craftsmanship. Although it takes longer than gun-nailing, it allows the roofer more control over the placement and security of each nail – a skilled tradesman can feel if they hit a solid deck when nailing by hand – ensuring shingles are correctly installed at the appropriate depth for maximum longevity. Ridge caps are shingles installed along the tops, or ridges, of a roof once the rest of the roof system is complete. They typically come in two options – high profile and low profile – with high profile resulting in a more aesthetically pleasing and higher-quality roof. High profile ridge caps are generally preferred on higher-end homes, whereas low profile ridge caps are more affordable. We see a lot of roofs being installed with 3-Tab hip and ridge shingles. These are not a specific ridge designed to fold and bend over the ridge and hip. 3-Tab shingles are designed to be installed on flat surfaces only – not curved. When installing a new roof, it is important to make sure to use a true ridge cap shingle product whether “high profile or low.” A true ridge cap product is designed to make those bends and curves for the hip and ridge. The type of valley used for a roof depends on the roofing product being installed. Open valleys, which are required for some products, are used for thicker designer shingles to eliminate a hump look when a closed valley install is performed. Open valleys are also used to direct water away from the roof with a center rib in the middle of the valley. Closed valleys overlap two slopes to create the finished valley. Regardless of valley type, we recommend ice and water shields to be installed underneath for extra protection. A ventilation system might seem like an odd thing to have on a roof, but it’s essential for the proper function and optimum life of a roofing system. Roof vents allow hot air and moisture to escape from attics and other areas of a home, preventing mold, mildew and other factors from damaging a roof and potentially causing health concerns. There are many different roof vents – each with its own strengths and weaknesses – the most common types being box vents, ridge vents, wind turbines, power vents, off-ridge vents, cupolas and soffits. Using a ventilation calculator (smartphone apps available) can help find the appropriate amount of ventilation needed for your house. We can also determine which vent or combination of vents is best for your home. We love solar-powered ventilation. It has the most power, requires fewer holes in your roof and comes with tax-incentive rebates. Traditionally, roofers install a protective layer of roofing material on the roof’s sheathing before nailing on the shingles to complete the project. Two primary options exist for this layer – organic felt and synthetic felt. Organic felt underlayment has been used for years and is known for its affordability, workability and availability. However, it also tends to dry out, deteriorate more quickly when exposed to rain and sunlight, and is prone to tearing. Synthetic underlayment is more expensive, but it is lighter, stronger and more durable. It’s easier to walk on, sheds water and is tear-resistant to certain points of pressure. All shingles carry some sort of warranty. System warranties, however, cover the entire roof, or roofing system, including the essential components that work together to protect your home and deliver lasting performance. If that roofing system ever fails, then the manufacturer covers the cost of the roof, accessories and labor. Nonsystem warranties cover only the shingles, leaving the homeowner to pick up the substantial cost of the accessories and labor. Start strips – similar to leak barriers, these are placed around the roofline to keep wind and water from getting under the shingles. Roofs aren’t necessarily meant to be waterproof; they are designed to shed water. Flashings and crickets help with drainage and proper water-shedding, directing water away from the chimney and other areas on the roof. Custom-fitted flashings and crickets, which are code items on chimneys larger than 30 inches, can last a lifetime, and they also eliminate the need for caulking and other less durable sealants. Either type of flashing is a solid option. It really just depends on your budget and specific needs. Galvanized steel flashings are more affordable, available and easy-to-make than other types – but they’re also less durable and less resistant to harsher climates. Copper flashings come in soft and cold-rolled varieties, each offering its own set of advantages. Although traditionally more expensive than other flashings, copper is durable, won’t rust and is easy to manipulate, making it a versatile, attractive choice. Anyone can call themselves a contractor, but not everyone is licensed. We are registered with the state of Oklahoma’s Construction Industries Board, which means we meet and work to maintain industry-wide requirements for safety, liability, education and more. We are an Oklahoma-owned company, and we have been since our founding in 1981. As an established, local company, we carry insurance, liability and labor warranties for our customers’ protection. In short, we’ll be here whenever you need us. Out-of-town companies and fly-by-nights, on the other hand, often can’t be counted on to honor their warranties – or even be around when the time comes. Experienced contractors should be able to determine accurate budget numbers at the frontend of any project. That’s why we offer free estimates on every job. We wouldn’t make a decision without first having the information we need to set clear expectations, and we don’t want our customers to, either. Longevity. Metal roofs can last between 40 and 70 years, compared to 12-20 years for traditional asphalt roofs. Durability. Metal roofs won’t corrode or split, and they can even stand up to strong winds, some as high as 140 miles per hour. They also require little maintenance other than the occasional inspection. Safety. Unlike traditional roofs, metal roofs won’t ignite in the event of a wildfire, lightning strike or other fire hazard. Energy efficiency. Metal roofs reflect the sun’s rays, reducing heat and energy costs by as much as 25 percent. Environmentally friendly. Metal roofs are made partly of recycled materials, and they can be recycled once they wear out. Shingles, on the other hand, contribute to 20 billion pounds of waste each year. Affordability. Because metal roofs last longer and are more durable, they cost more than traditional roofing. Noise. Think about the difference in sound between dropping a rock on asphalt and dropping one on a piece of metal. This issue can be addressed with additional insulation, but that also raises the cost of the roofing system. Fluctuation. Metal roofs often expand and contract with changes in temperature and other environmental factors. This can result in panels coming loose if they aren’t installed correctly. Colors. It can be difficult to match the exact color of a metal roof if only a portion of the roof is being replaced. This is due to the limited nature of materials and the tendency of colors to fade over time. Weather damage. Although metal roofs are usually stronger and more durable than traditional materials, in climates where severe weather or heavy moisture are persistent, metal roofs can rust and crack. Elliott Roofing prides itself on its ability to prepare your roof for the worst, but when it comes to routine maintenance, homeowners can actually be the first line of defense against roofing issues. Here are some tips for ensuring your roof looks and functions at its best. Cleaning your gutters at least twice a year can prevent damage to your roof. If leaves and debris clog your gutter, they can cause water to overflow, potentially damaging your roof – and eventually the foundation of your home. If you have trees near your home, make sure your roof is free of debris such as branches or leaves. Branches can puncture and scratch your roof, which can lead to leaks and other damage. It might be a good idea to pare back limbs and branches to prevent them from falling on your home. The No. 1 sign of a leak is a water spot or stain on the ceiling or drywall. Look at closet ceilings, corners and above exhaust vents such as chimneys and range hoods. If you notice a stain, it’s likely that mold and mildew are also present. In addition to being unsightly and unpleasant, these issues can cause potential health problems, so it’s best to call a professional such as Elliott Roofing as soon as possible to repair the leak and prevent further damage. If you have loose, broken, bent or split shingles, make sure you replace them in a timely fashion. If the shingles on your roof are damaged, they can’t fully protect your home, so they longer they stay in disrepair, the more susceptible your roof is to harm. Be careful when climbing up on your roof, though. If you don’t feel confident and comfortable replacing the shingles yourself, call Elliott! Your home is likely your largest investment, and your roof is the first line of defense in protecting it from severe weather. That’s why it is essential to take the time necessary to research diligently which roofing contractor you should hire to protect your family and your valuables. Only honest, reliable, certified roofers should be considered. After a storm, door-to-door solicitors often appear in neighborhoods that sustained damage. Be wary of contractors handing out flyers and promising quick fixes – they are often too good to be true. If a contractor asks for a very large deposit in advance, payment in full or claims to be a state or FEMA inspector, it could be a scam. Never make your check payable to anyone other than the owner or the company, and always ask to see identification from anyone who claims to be certified by the state or FEMA. Additionally, you should always get receipts for any repair payments you’ve made, including any cash payments. When severe weather or other elements damage your roof, dealing with your insurance company can be a hassle. The cost of the repairs could be more expensive – or the damage more extensive – than what the insurance company is willing to acknowledge, and finding a reliable roofer to formulate an estimate on your behalf can be a challenge. That’s why it’s important to speak with a certified roofing contractor, such as Elliott Roofing, before filing a claim. You can call Elliott Roofing at any time to schedule a free, honest inspection. We will discuss and walk you through repair or replacement options based on your roof’s age, condition and more. If you have any questions about this process, contact Elliott today! After a storm, some homeowners might want to try to repair their roofs themselves. If you are one of those people, we strongly encourage you to proceed with extreme caution. Any significant damage – holes in the roof, walls or windows – should be covered with boards, tarps, plastic sheaths or trash bags to keep moisture out, but if the roof is sagging or you notice structural damage, do not get on the roof. Call the professionals at Elliott Roofing. We have years of experience working on severely damaged roofs, and we can handle any of your roof-repair needs. 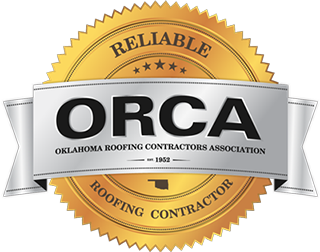 If you have any roofing questions at all, call us today at 405-789-4646 in OKC or 918-524-4646 in Tulsa.